No, not a reference to the election (Go Vote! 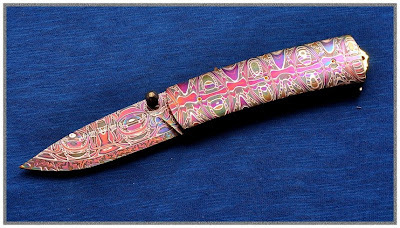 ), but these uniquely fabulous knives from Swedish bladesmith Johan Knives. 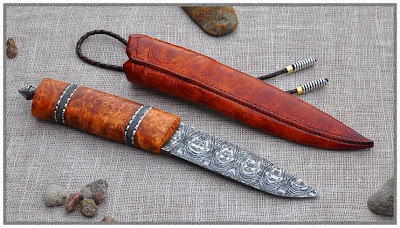 Damascus Hunter has a Mosaic Damascus blade with birch root handle, $1900. 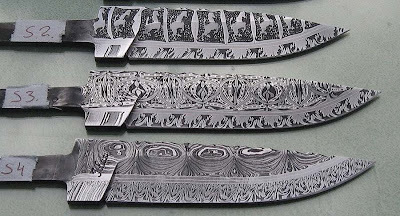 Take a closer look at the fantastic, intricately worked designs on the Mosaic Damascus blades. Too gorgeous to hunt with, Red Fantasy is a work of art complete with gold-plated srews and a price-tag to match $3200.